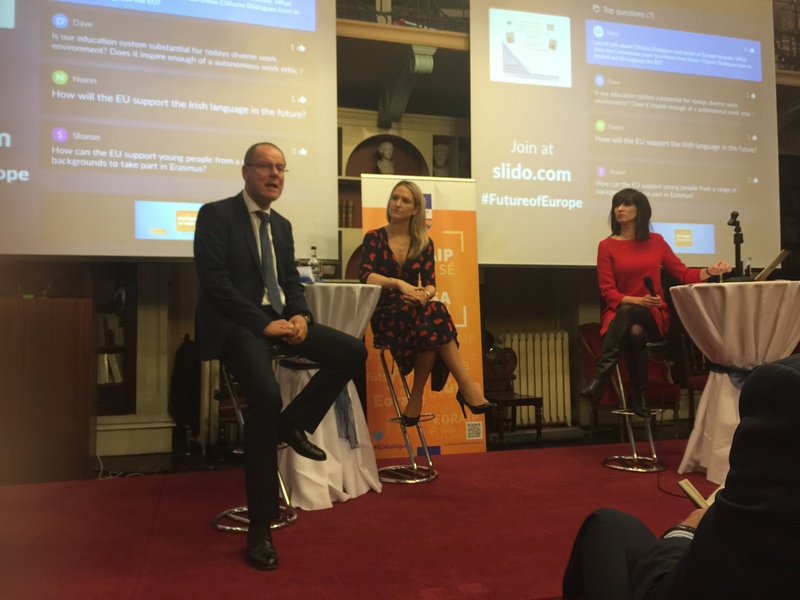 Citizens’ dialogue on the Future of Europe. In the Royal Irish Academy, Dublin. On Wednesday,13th December.2017with European Commissioner for Education,Culture,Youth and Sport Tibor Navracsics & Minister of State for European Affairs Helen McEntee TD. Moderated by Dr.Aoibhinn Ni Shuilleabhain. Debating the future of Europe by an open floor Q&A forum and also using using Sli.do, an audience interaction platform, before and during the event. Two schools were invited to attend by the European Commission ,the invitation was due to our involvement in the European Parliament Ambasador School Programme,other attendees were from the media, medical professions, culture and language groups and third level lecturers. 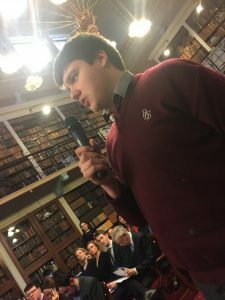 Our students willingly took part in the interactive and live Q&A session ,and it was commented by the Commissioner and TD after the event that the students were very succinct and positive. The students experience was highly positive ,they were a little starstruck by the location and the formal treatment of them upon their arrival ,and thoroughly enjoyed being fed !The dialogue was extremely informative and the interactive element was highly engaging.A fantastic experience. Previous Why should we vote ? Next Goodbye Diesel ….Hello Electric…..